Last night, I made William my mom's famous Chicken Crescent Squares for the first time, and it went over very, very well. 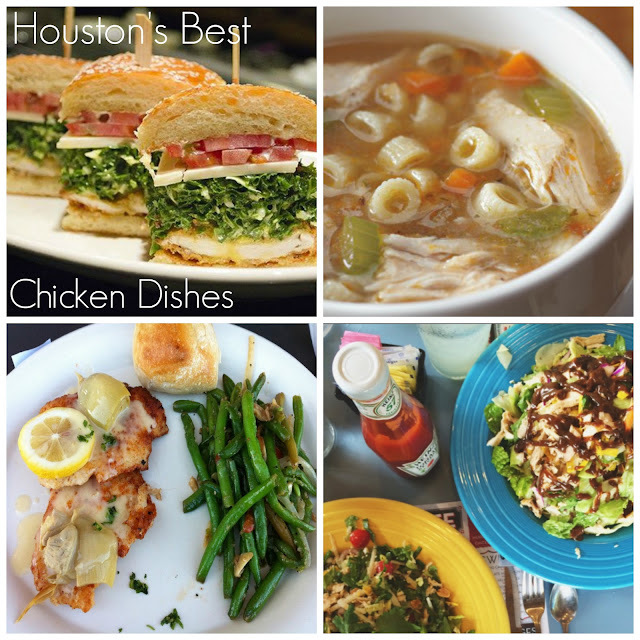 In keeping with the theme, my first installment of Food Finds Houston features chicken dishes. This short list only scratches the surface of what's out there, but I figure it's just as good a place to start as any. notes: Get a side of green beans. notes: This is exclusive to the original locations on Voss and Kirby. notes: Faysal, the founder of this neighborhood favorite, is opening his fourth location in Rice Village. notes: I'm almost certain the dressing that comes on the side is the secret sweetening agent for the salad. notes: Start with the spinach artichoke dip, and prepare to be stuffed silly. notes: Cut the gravy. Add extra honey mustard; it's Houston's best. notes: This opinion is WD's. notes: Enough for two or lunch and dinner. Dig in, and let me know what you think! I'm no Houston food expert, but I'm surprised to see the Crunch Chicken Sandwich at Local Foods didn't make the list!